The John Smith and Sons bakery will have a new lease of life. Plans to convert a 113-year-old bakery into a home have been approved by Aberdeenshire Council. 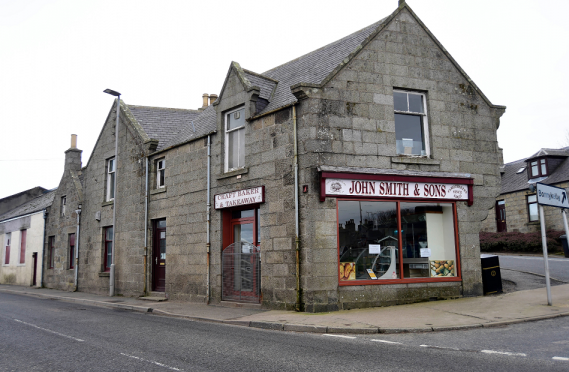 New Pitsligo’s John Smith and Sons bakery first opened to the public in 1903 and was the subject of a takeover by the Fraserburgh Development Trust in 2014. At the time, it was claimed 25 jobs had been saved by the change of ownership. But the bakers ultimately folded after funding for a £1.4million project to create a training centre in the village was refused. All staff were made redundant in March 2016. At the time, Ian Watson, chairman of the development trust, said everyone involved was “disappointed” at the outcome. It is now unlikely that the baker will ever re-open after Aberdeenshire Council signed off on converting a section of it into a home. The proposal to create a two-bedroom house on the site of the bakers was submitted by architect Alastair Angus on behalf of Strichen man John Rafferty. It was originally feared bats may have been roosting in the building. However, an independent survey, found no evidence of this. Mr Rafferty currently has another plan lodged with the authority to convert a separate section of the building into two three-bedroom homes. A decision on that plan is expected later this year. Former first minister Alex Salmond and former MP Eilidh Whiteford both spoke positively about the bakery, prior to its closure. Mr Salmond previously stated: “John Smith and Sons bakery is a pillar of the community in New Pitsligo.